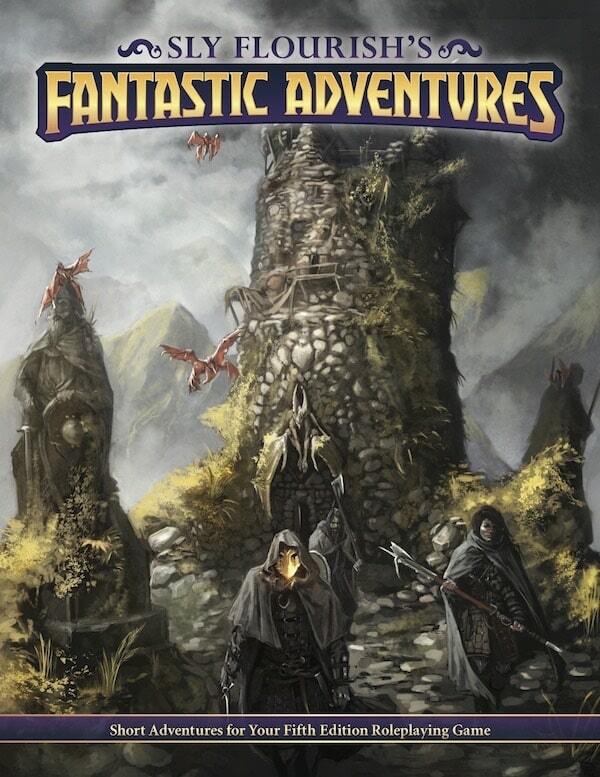 If you read deeply into Tomb of Annihilation and Dungeon of the Mad Mage, you'll notice that Wizards of the Coast has avoided a common problem in older adventures. Older adventures often focused on rooms full of monsters that reacted to the characters in basically one way—by attacking them. 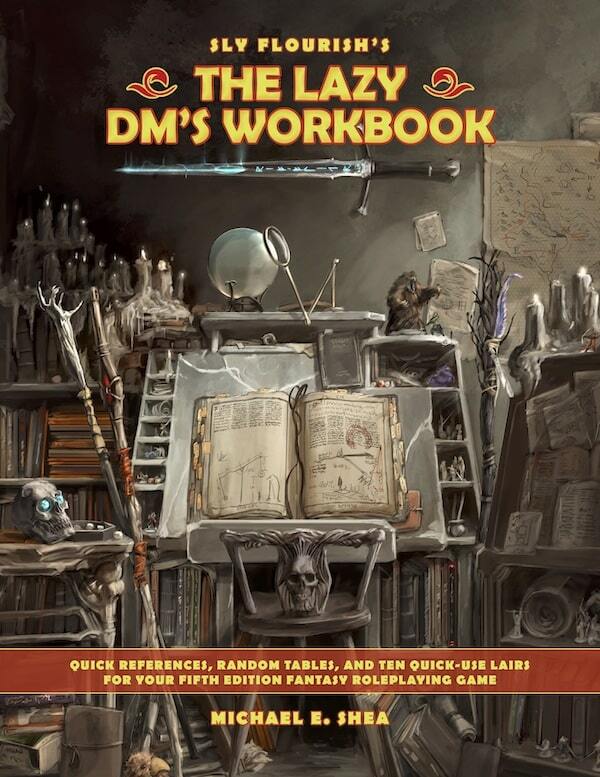 The fifth edition of D&D focuses on three pillars of play: exploration, roleplaying, combat. While previous versions of D&D arguably focused more on combat than the other two pillars, 5e has definitely shifted more towards roleplaying and exploration as at least equal partners to combat. When we're thinking about and preparing for our D&D games, we might break down the scenes we plan to run by the scene's type. We might think of it as a roleplay scene, an exploration scene, or a combat scene. Previously on this blog I brought up the idea of an adventure template with prescribed scene types to maintain the beats at the right time. I no longer believe such a template serves our game. I believe that we should build situations, not scenes. We should build situations that allow for all of the three pillars and let the players choose how they want to interact with it. 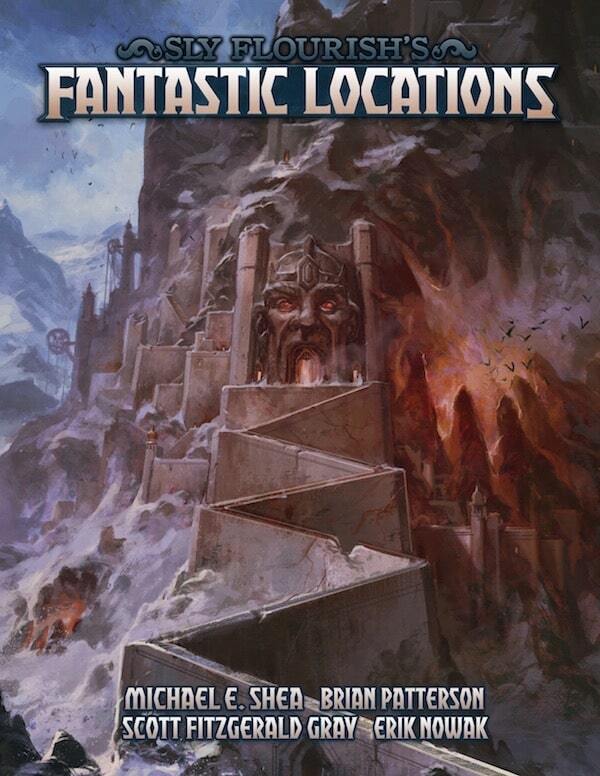 In Tomb of Annihilation there is a den of scum and villainy in the forbidden city of Omu called the Fane of the Night Serpent. This temple to a dark and terrible elder evil is a clear example of a location that seems ripe for combat. Yet, as written, the characters have many different ways they can interact with it. We learn of many interesting personality quirks between Ras Nsi, the leader of the Fane and his second-in-command, Fenthasa the Nightmare Speaker. Other interesting social connections include Ras Nsi's bodyguard and the bodyguard's love for one of Ras Nsi's concubines. The physical construction of the Fane also offers options for exploration. The doors have cut-outs at the bottom allowing the passage of snakes or those in snake form. A druid with shape shift could likely slide on in and spy on the whole den. There are also multiple entrances into the Fane and lots of ways to travel within it. There are lots of things to discover and many secrets to uncover. The Fane is built so that characters (and players) can choose how they want to approach it. Do they want to pretend to be prisoners? Do they want to sneak in the back? Do they want to talk their way into Ras Nsi's throne room? Do they want to kick in the front door and start cutting down snake people? All of these are viable options. 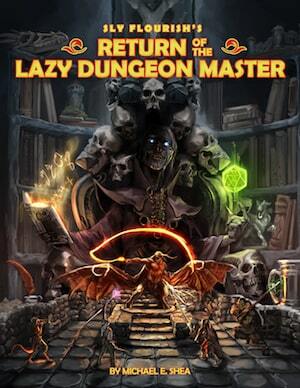 In Dungeon of the Mad Mage, nearly all of the 23 levels of the dungeon includes multiple factions that interact with one another in different ways. Instead of each level being a monster closet slaughterfest, the characters can work with or against these factions as they see fit. This idea extends through many recently published adventures. Instead of rooms full of monsters to fight, there are factions at work with goals that may run parallel or perpendicular to the goals of the characters. Combat is still an option but it is often only one of many. We can use these examples to help us build our own situations when preparing and running our games. Whenever we're putting together a scene or situation in one of our games, we can ensure that the scene allows for multiple solutions instead of just one. One great way to ensure there are opportunities for roleplaying are to add factions to your enemies. This might be subordinates who secretly hate their leader. It might be two warring factions. Factions, even more than two, are excellent tilled earth for your characters to plant seeds of intrigue instead of just slitting throats the whole time. We can also ensure our scenes have something to discover in it. This might be interesting murals, tapestries, or frescoes on the wall that someone can investigate with history or religion. We can layer the scene with all sorts of stuff the characters can investigate. If we've prepared some secrets and clues you can drop in these secrets whenever a character successfully investigates some interesting part of the area. Bored guards and lots of shadows make for some great stealthy work. Because group stealth can be hard and a wrong move can alert an entire castle, we might go a bit easier on the characters if they choose subterfuge instead of combat by helping them fail forward on unlucky rolls. A failed group stealth check doesn't lead to an alert but it means the group gets split up as sleepy guards walk through or that they collapse into the sewers beneath the castle. Is there a way to sneak around? Are there NPCs to talk to? Are there factions within the monsters and villains to exploit? Are there areas to explore and things to learn there? Are there things to fight without bringing the whole place down on top of them? Are there different ways to get into and explore the area? These aren't perfect but they're a good start. One way we can keep our scenes open to all of the possible options characters bring to the table is to focus on the goal. If the goal is "kill everything in the dungeon" that will probably force combat. But if the goals are more specific like "steal the bowl used in the dark ritual" or "remove the enchantment possessing the king", it lends itself to other alternative paths. In the 4th edition D&D days, Dave the Game talked about the "early out", a way to make overly long battles go faster. Instead of having a goal of killing everything in a battle, the goal was something else. It might be "stop the ritual" or "blow up the bridge" or "close the portal". The goal went beyond simple slaughter. That same idea can be expanded to situations in our fifth edition D&D game. What is the characters' goal in the situation? What do the characters need to do? Can we foresee ways to accomplish that goal that aren't just killing things? When we think about building scenes for our games, it's easy to fall in the trap of overpreparation. 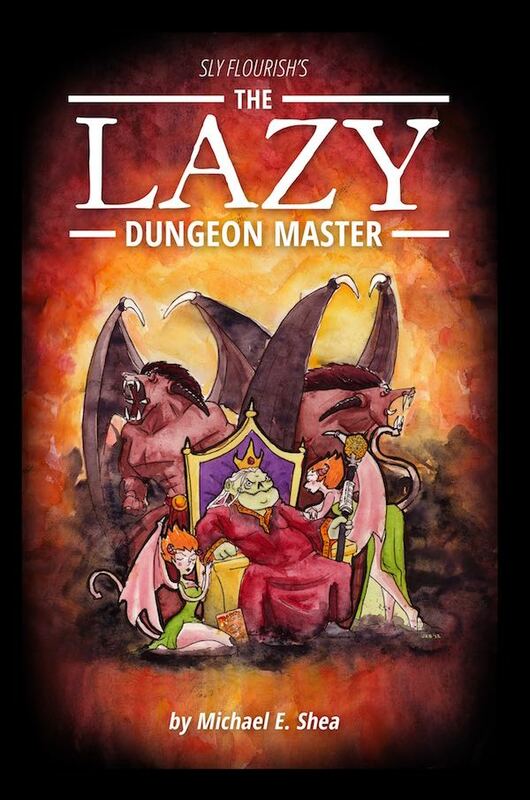 As written in Return of the Lazy Dungeon Master we might get more out of our game by preparing less. It's important that we set up scenes that allow for many different approaches but we don't have to plan for every one of them. Instead, we can place in the components that help ensure there are options available for the characters to choose from.